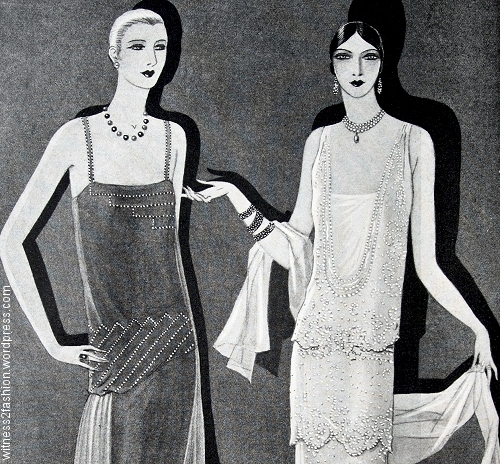 Big bows accent these evening dresses from July 1928. Left, Butterick 2087; right, Butterick 2109. Delineator magazine illustrations. 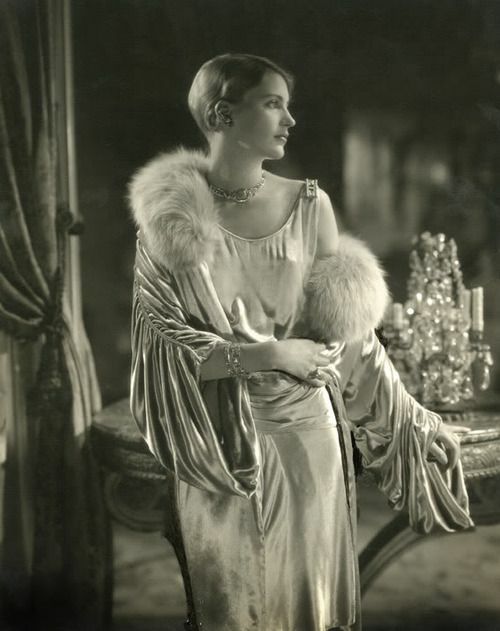 As much as I admire the Art Deco geometry of many 1920’s dresses, I can’t ignore the huge number of softly draped dresses accented with big bows, like this couture dress by Lucien Lelong from 1928. 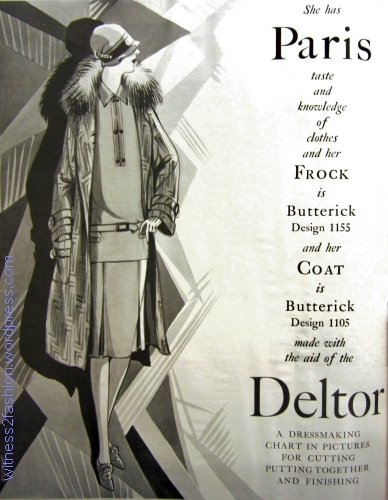 Butterick evening gown pattern 2176, Delineator, August 1928. A single bow in the center of the hip girdle is the focus of Butterick 2125, left. The single bow is shifted to the left side of Butterick 2135. August 1938. When two bows were used, they could balance each other by being offset, one high on the right side and one near the waist on the left, but this was not always the case. Left, a day dress with a bow centered on the neck and another bow, far to the side, on the hip. Far right, a more formal dress with bows that balance each other, one on the right shoulder and one on the left hip. Butterick 2129 and 2178. August 1928. On No. 2178, the eye is led from the shoulder to the hip diagonally across and down the body, for a dynamic and slenderizing effect. In this dress, all the interest is on the frock’s left side, at the asymmetrical neck and the skirt — not an easy look to do successfully. Butterick coat 2149 and dress 2187. August 1928. 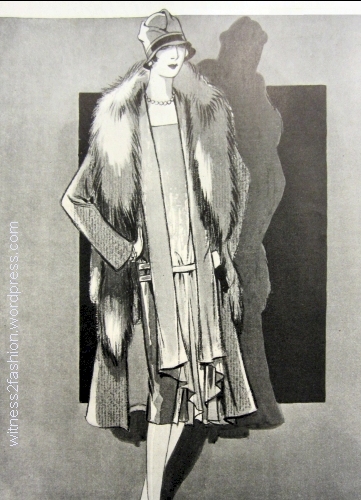 The side panel on the dress hangs below the coat hem; this was acceptable in the twenties. Left, Butterick 2137 — with four bows — shown on a teen-aged girl. Right, a “bolero” outfit, Butterick 2167. August 1928. After idealizing the “boyish” look, now the magazine extols the “new feminine feeling.” The book Uplift says teens were buying brassieres, not flatteners, in the late twenties. Dress 2137 — with four bows — was not just for teens; the pattern was also available for women sizes 36 to 44 bust. There’s a different illustration of the same dress later in this post. The dress on the right, below (No. 2066) was similarly available for teens or adults. 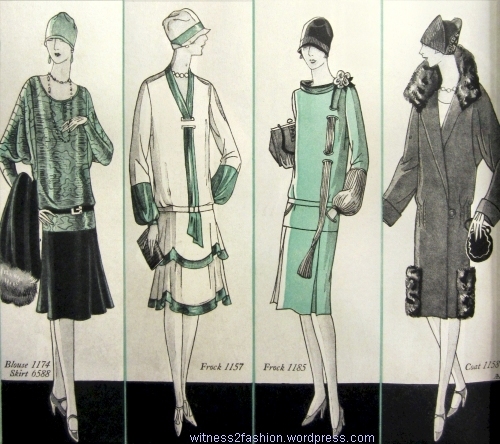 All three of thee dresses from July 1928 focus on large bows. from left, Butterick 2038, 2129, and 2066. Delineator. 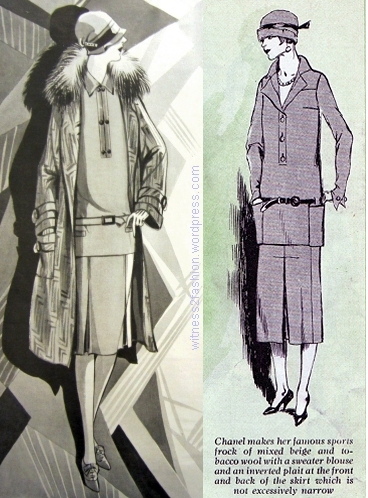 The dress on the left has a “bridge coat” worn over a sleeveless chiffon evening dress. “Without the coat it is a chic evening frock….” Day dresses were usually not so completely sleeveless that the shoulder bone was visible; evening dresses were sleeveless and had lower-cut armholes than tennis dresses. 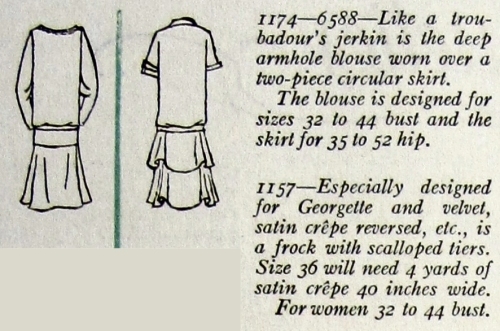 The print dress in the center has “a blouse with crushed waistline, square neck, and bows at hip, neck, and wrists;” for sizes up to 44 inch bust. For the dress at the right with shirred front, a color scheme of red, white and blue was suggested. Butterick 2137 and 2127 have a style moderne quality — and big bows. Delineator, July 1928. This illustration of 2137 is much more stylized than its version for a teen, shown earlier. 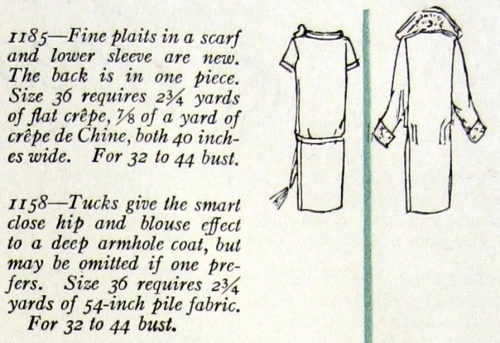 Butterick 2127 in two versions, August and July of 1928. Butterick 2087, an evening dress with enormous back bow, June and July illustrations, 1928. For young or small women. 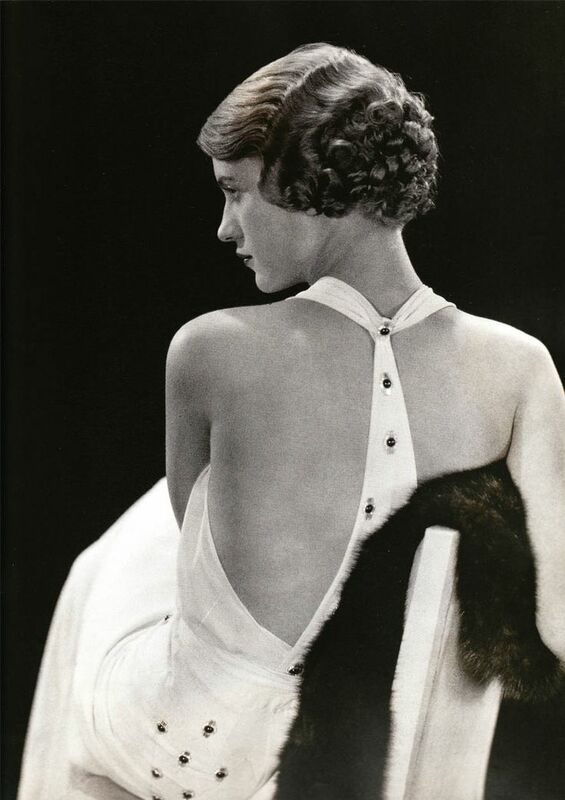 Like the dresses of the thirties and forties, its bodice has an underarm opening in the left side seam. Butterick evening gowns, No. 2148 and 2140. August 1928, Delineator. 2148 has both bows on its left side. Butterick evening dresses 2112 and 2123 have bows at the side hip. July 1928, Delineator. Showing bare shoulders with narrow straps, seen on No. 2112, was a very new fashion. They were called “lingerie straps.” Chanel showed one in 1926. Left, couture gown by louiseboulanger, sketched for the May issue; right, Butterick pattern 2108. Delineator, May and July 1928. 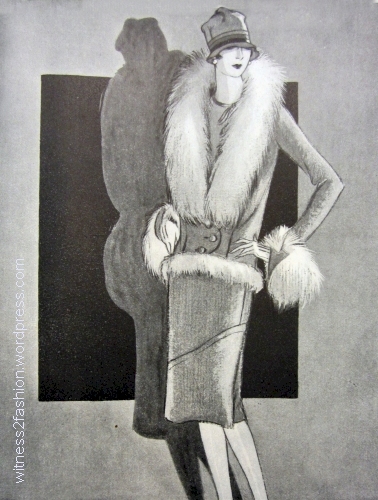 Draped satin dress from an ad for Kotex sanitary napkins, Delineator, August 1928. The effect of a bow seems to be created by the tucked satin, but it is probably a separate piece of fabric. I didn’t find a credit for the dress designer. Is the model a living woman or a store mannequin? What a lovely face…. Detail of Kotex ad, Aug. 1928. I think she resembles Lee Miller, photographer and model. Mannequins were sometimes based on recognizable people.